The move comes just two weeks after Vanguard surpassed SPDR in ETF assets. Some SPDR ETF expense ratios will be cut in half and then some. State Street Global Advisors (STT) said early Tuesday that it cut management fees on 41 SPDR exchange-traded funds (ETFs) across a range of asset classes, a sign of the stiff competition in today’s marketplace. The S&P Barclays Aggregate Bond ETF (LAG), for instance, will see its fee ratio drop from 0.21% to 0.10%, while fees on the S&P Barclays International Corporate Bond ETF (IBND) will decline from 0.55% TO 0.50%. The SPDR S&P 500 Growth ETF’s (SPGY) fee ratio is declining to 0.20% TO 0.15%. 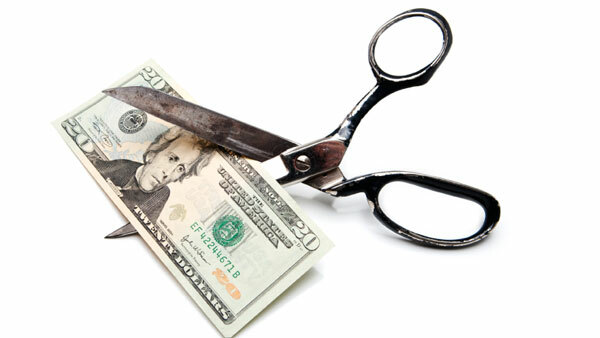 More dramatic fee cuts include those for the SPDR S&P 1500 Value Tilt ETF (VLU) and the SPDR S&P 1500 Momentum Tilt ETF (MMTM), which saw their expense ratios slashed from 0.35% to 0.12%. The SPDR Russell 2000 Low Volatility ETF (SMLV) now has an expense ratio of 0.12% vs. its earlier fee of 0.25%. “Competitive pricing is a core benefit to the SPDR ETF value proposition that dates back to the launch of the SPDR S&P 500 ETF (SPY) in 1993,” Ross explained. As of Dec. 31, State Street has close to $2.5 trillion in assets under management. The SPDR Gold Trust, for example, has some $27 billion in assets. A year ago, the company cut fees on its nine sector SPDR ETFs from 0.18% to 0.16%. Rival Vanguard did not follow suit until December, when it said it would lower fees on 10 U.S. sector ETFs and two other exchange-traded products. Its Vanguard Energy ETF (VDE), for instance, saw its fee decline from 0.14% to 0.12%, and its Vanguard Financials ETF (VFH) had a drop in fees from 0.19% to 0.12%.